If you donâ€™t need that many channels, you can save a few dollars with their scaled-down version, PocketWizard X Transceiver Radio Slaves which off 10 Channels including classic channels 1-4 plus 5-10 low-traffic channels. 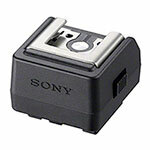 The Sony Auto-Lock Shoe Adapter adapts a Sony Alpha auto-lock-type hot shoe to accept multi-interface shoe-type accessories. 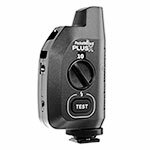 This adapter expands accessory compatibility by allowing use of standard hot shoe flashes and accessories, as well as those specifically designed to make use of the multi-interface design. LCDs are great for visualizing the scene and your histogram shows whether you’re clipping highlight or shadows. 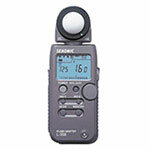 But a flash meter will tell you where it’s falling. If you’ve got F11 on the face an want the light to fall off a stop at the chest – a flash meter will tell you that without all the trial-and-error. 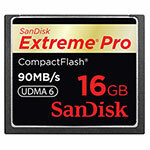 These are my SDHC cards of choice. Great high-speed high-performance SDHC class 10 card lets you shoot fast bursts without slow-down for buffering. 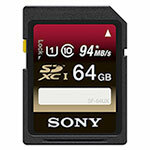 If you plan to shoot video with Sony A7S you may wish to get the larger 64gb SDXC 10 UHS-1 cards to access XAVC S video format plus the 64gb size is great when shooting video. 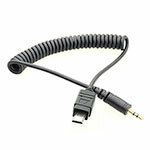 Nothingâ€™s worse than searching around your camera bag trying to find a tiny SD card. 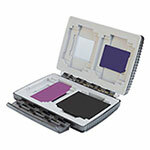 Delkin Secure Digital card cases or Vidpro Power 2000 SD Memory Card Cases can make quick order out of that chaos. To better keep track of which cards Iâ€™ve shot, I turn the cards face down once Iâ€™ve used them. 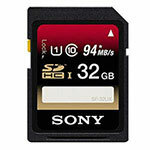 My CF memory cards of choice – these top the charts for both performance and reliability. The 16GB cards are a great choice for stills, but for shooting video, I’d go with the 32Gb. 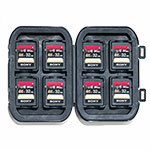 I’ve always got 3 or 4 of these cards safes from Gepe on every shoot. They’re just the right size to slip in a pocket and you never have to worry about a card being damaged. After shooting each card I turn it face down so I know it’s been used. 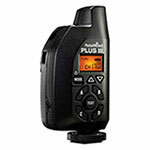 Sony RMT-DSLR2 wireless remote commander allows a hands-off approach to triggering a tripod-mounted camera or achieving extra-long exposure times by sending an infrared signal to the cameraâ€™s remote port, ensuring that you donâ€™t shake the camera as you fire it. 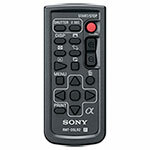 Sony RM-VPR1 remote control with multi-terminal cable allows you to trigger long exposures without touching your camera including the ability to zoom with power zoom lenses. 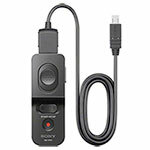 This cord will allow you to trigger Sony cameras with a Multi-terminal Remote port using PocketWizards or other remotes or interval timers with a 2.5mm mini-stereo port.